Bitcoin Press Release: Fin Foundation, a newly created company with South Korean roots, are aiming to take over the Russian and CIS gasoline market, by implement the FIN token as a method of payment at gas stations. 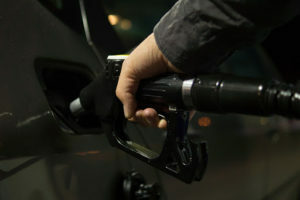 The payment method has already been implemented for several gas stations in South Korea. April 24th, 2019, Burgas, Bulgaria – Fin Foundation allows crypto holders to pay for petrol in crypto and get discounts in price. Oil and gas companies have recently become interested in the Fin Foundation project, because for them it is an opportunity to attract a new audience (e.g. cryptoholders) to gas stations. One of the biggest South Korean oil refining companies have already made a deal with Fin Foundation, as well as the Russian Nordgas Trading LLC. The FIN token will also solve the problem of the lack of contactless payment options in some regions. Fin token is using the ERC-20 protocol based on the Ethereum blockchain, but later the team plans to implement Fin Foundation’s own blockchain, as it will be more convenient when more gas stations connect to the chain. Right now, FIN token is available only on Korean exchange Bitsonic, with trading in BTC, ETH and KRW available. The team is planning to secure listings on the top Coinmarketcap exchanges. 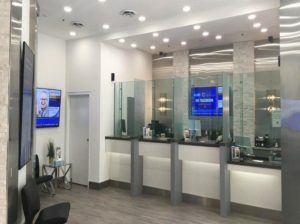 As the marketing director Jun Lee says, Fin Foundation has acquired a number of crypto ATMs, to allow FIN token users exchange the tokens right on the gas stations. FIN token can be transferred to the ATM from the exchange or imToken, the mobile wallet app. Crypto holders will be also able to get cash from crypto ATMs, by exchanging the FIN token for fiat currency. The biggest challenge for the team now will is the shipping of the crypto ATMs from Russia to South Korea, and adapting the software for Korean users. The project has an international team with wide experience in the energy sector and finance. The CEO, Kirill Druzhkov, was the Head of Investment Project Support division at Sintez Holding, and has created an investment strategy for the oil and gas portfolio company. He also used to work in leading finance positions in Western World Fund, CASYS, T-Mobile and other companies. Jun Lee, CMO, previously worked as the manager on gas pipeline constructions in Turkmenistan and Uzbekistan. Fin Foundation has ambitious plans to takeover Western European gas stations. The Next countries the project is targeted to are Estonia, Latvia and Lithuania. FIN Foundation is the source of this content. Virtual currency is not legal tender, is not backed by the government, and accounts and value balances are not subject to consumer protections. Cryptocurrencies and tokens are extremely volatile. There is no guarantee of a stable value, or of any value at all. Token sales are only suitable for individuals with a high risk tolerance. Only participate in a token event with what you can afford to lose. The post Fin Foundation Plans to Implement Token Payment on Gas Stations all over Western Europe appeared first on Bitcoin PR Buzz. 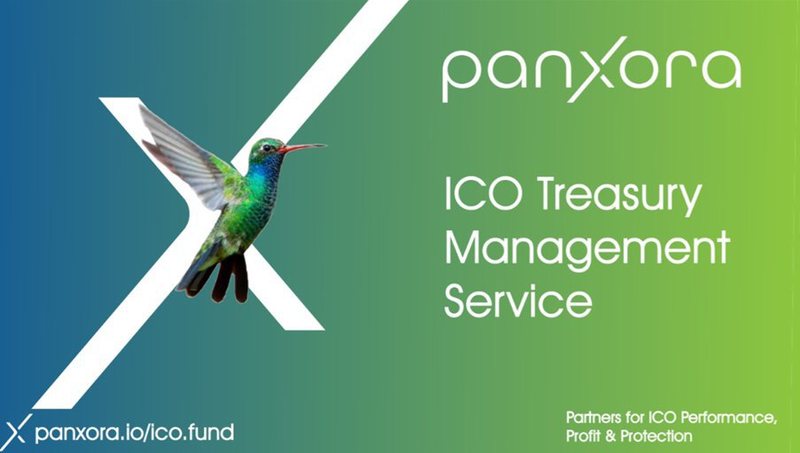 Bitcoin Press Release: Panxora has announced a new Treasury Management Service which will not only helps ICOs survive but thrive within the current market conditions. 23rd April, 2019, London, UK – The Panxora Group, a cryptocurrency consortium, today announces the launch of its ICO Treasury Management Service (TMS). The TMS helps founders manage the capital raised through token generation events to ensure that it is preserved from the volatility of cryptocurrency and can support business growth. Recent research has shown that over half of ICOs fail within four months of their launch, often due to financial mismanagement. For young crypto companies, managing ICO capital is a daunting task. Keeping it in crypto exposes it to volatility and risks loss while converting it immediately to fiat could mean a missed opportunity to take advantage of a rising crypto market. In response, Panxora has launched the TMS to help crypto projects face the challenge of managing the funds they raise. Over Smith’s 20 years’ experience in investment banking and commodities, he saw the big players regularly using hedging strategies to tackle volatility. This not only preserves value, but can also represent upwards of 50% of the commodity company’s yearly profits. Commodity markets and cryptocurrency share many characteristics so he saw an opportunity to create a competitive advantage for his ICO clients by transferring this expertise to the cryptocurrency industry. Using active hedge strategies based on AI trading algorithms, coupled with passive hedge balancing, the TMS can create a balance between capital growth and preservation, depending on the risk appetite of each client. 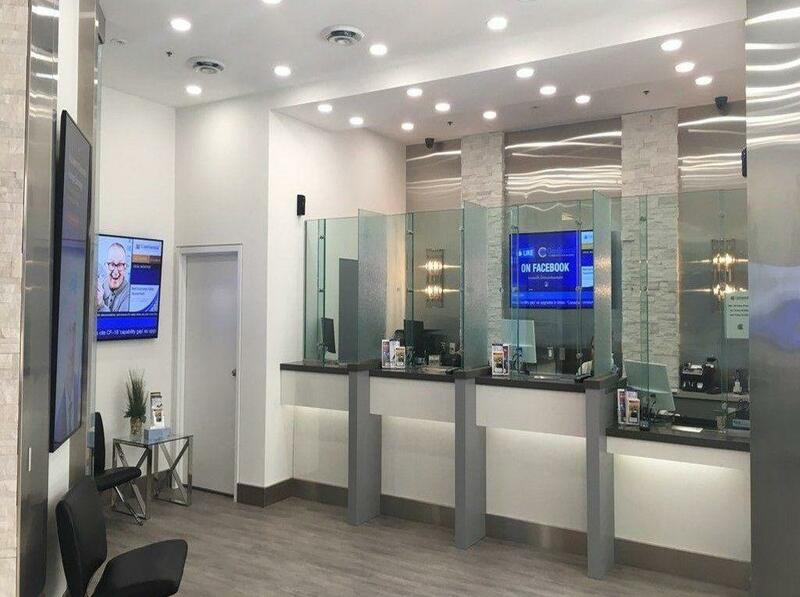 The client dictates how much capital they need each month, which they can transfer into their operating account, ensuring that they can finance daily operations. Panxora’s AI models were used to manage $2,900,000 raised during Panxora’s Tessier-Ashpool token sale in 2017. 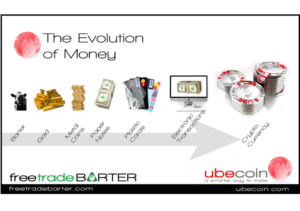 After 15 months of trading, the company moved $2,100,000 profit into an operating account, invested in 5 companies, ran the business for 15 months and still had the original $2,900,0000 plus an extra $200,000 sitting in the bank. Dynamic hedge management generated an increase of 76% during a period in which Bitcoin was down 16%. Founded in 2014 under the name First Global Credit, Panxora has always aimed to provide cryptocurrency owners the same opportunities as fiat currency holders have to generate revenue from their assets. With significant experience both in traditional financial and cryptocurrency markets, Panxora’s co-founders brought their first service – crypto backed stock and ETF trading to market, followed shortly by its currency exchange and the launch of the investment collective, AICoin which uses proprietary AI to trade the cryptocurrency markets. The company’s development team continues to innovate new products and services that will provide advantages to its customers. This includes the public launch of Panxora Crypto AI, a cryptocurrency focused hedge fund. This and other services have been designed to give crypto-asset holders ever more opportunities. With more than 30,000 customers in 35 countries, Panxora is the crypto-community’s trusted partner to meet financial goals and put crypto-assets to work. Panxora is the source of this content. Virtual currency is not legal tender, is not backed by the government, and accounts and value balances are not subject to consumer protections. Cryptocurrencies and tokens are extremely volatile. There is no guarantee of a stable value, or of any value at all. The post Panxora Safeguards ICO Assets with Crypto Treasury Management Service appeared first on Bitcoin PR Buzz. Bitcoin Press Release: USDX Wallet has completed an integration with ExMarkets – the first crypto exchange that will list the company’s core coin, an LHT. April 23rd, 2019, Frankfurt, Germany – USDX Wallet is a mobile-first instant transfers solution powered by blockchain technology. It targets crypto holders, allowing individuals to send and receive funds quickly and fee-free. It also covers the needs of an unbanked audience, and those who don’t want to pay commissions within traditional money transfer mobile apps. The USDX Wallet app guarantees multi-level security for all transactions and instant transfers of assets by username, phone number or QR code. The native blockchain used by the USDX Wallet is based on the BitShares protocol and allows 100,000 transactions per second. The payment system has two cryptocurrencies at its core: USDX token and LHT coin. The USDX token is a stablecoin pegged to the U.S. dollar at a 1:1 ratio via a smart contract. 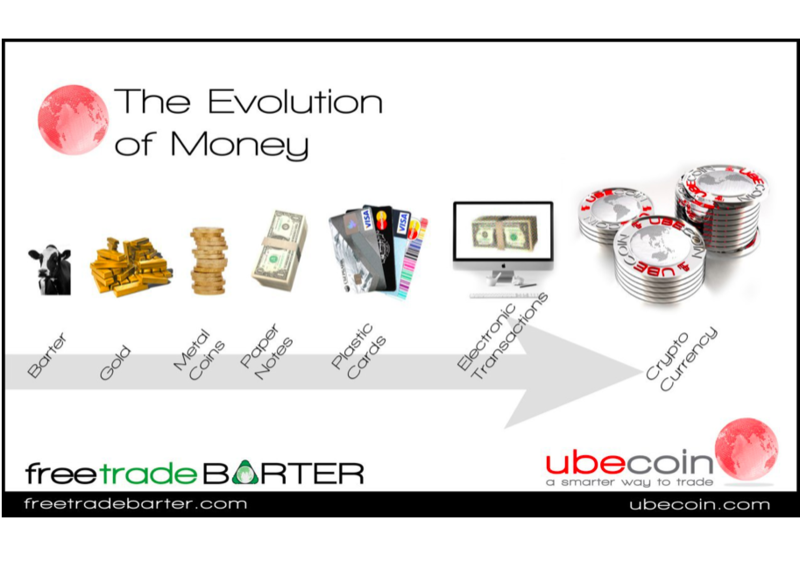 USDX is collateralized by the system’s core cryptocurrency, LHT. The total supply of LHT is 1 billion coins. LHT coins will be released gradually to the market; only 10% of the LHT supply will be issued each year, of which 5% will be freely tradeable and 5% will be locked on the blockchain to provide 200% collateralization. USDX Wallet has not held any private sales or presales, as it has received a sufficiently large venture investment. 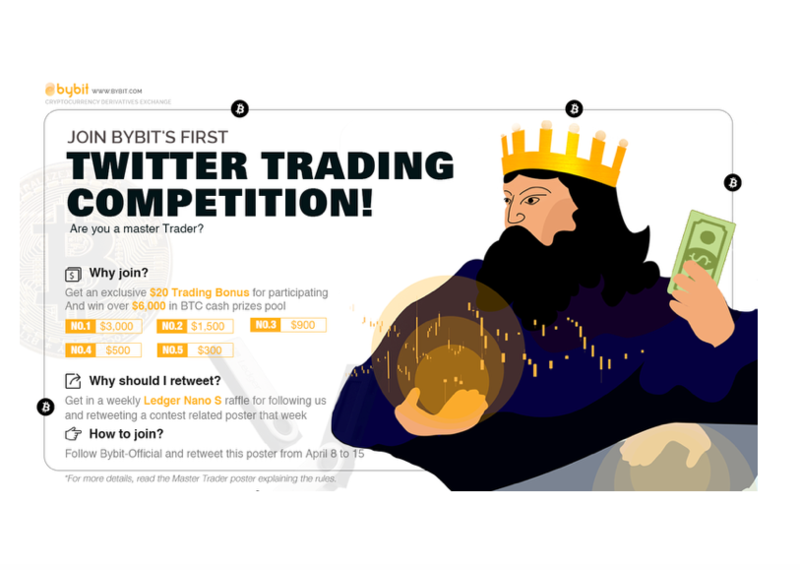 Future profits of the project will come from business account fees. From December 2018 to January 2019, there was an airdrop that attracted tens of thousands of participants. At the moment, USDX Wallet has surpassed 50,000 verified accounts. 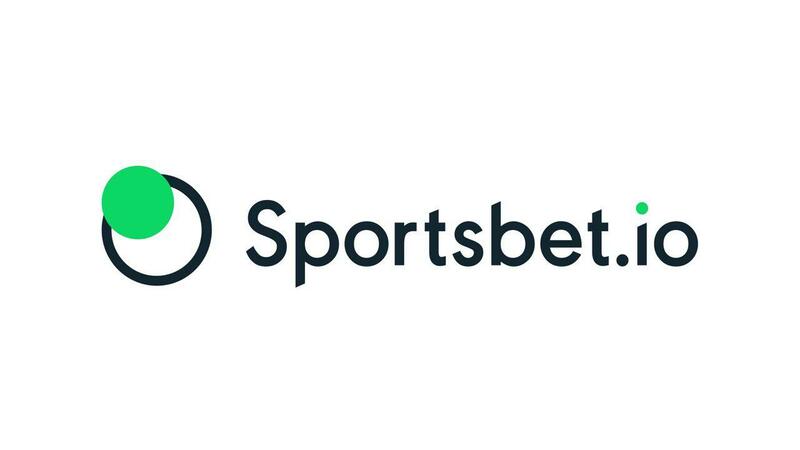 For the last several months the team behind the app have been implementing integration with crypto exchanges. The first platform to list LHT will be ExMarkets exchange, with two more exchanges to come. On Exmarkets, LHT will be available in trading pairs with Bitcoin (LHT/BTC) and Ethereum (LHT/ETH). ExMarkets is a digital asset exchange platform powered by the state-of-the-art trading engine developed in-house. On the exchange, ExMarkets users can trade the most popular cryptocurrencies as well as gain the chance to participate in the token sales of the most promising blockchain and crypto projects through ExMarkets Initial Exchange Offering (IEO) LaunchPad. Recently, ExMarkets was granted two operational licenses for crypto-fiat gateway and custodian service provision by the Estonian regulator making it one of the few certified players in the market. 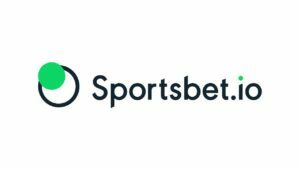 Also, ExMarkets supports EUR (SEPA transfers) deposits to the cryptocurrency exchange and is a part of the CoinStruction liquidity framework which is aggregating order-books from the most well-known cryptocurrency exchanges guaranteeing 24/7 crypto liquidity. It takes only a few minutes to set up an account; users are allowed to make deposits in Bitcoin, Ethereum, other supported cryptocurrencies, and tokens. 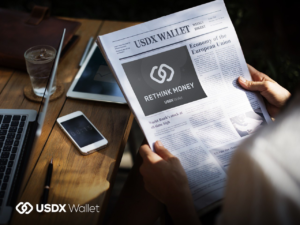 For more information on USDX Wallet, visit https://usdx.cash. 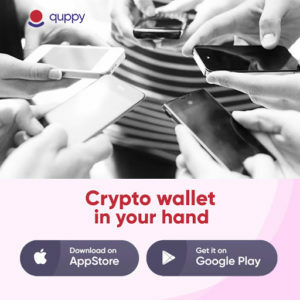 The free USDX Wallet app is available on Google Play and the App Store. Follow USDX Wallet on Medium, Twitter, Facebook and Telegram. USDX Wallet is the source of this content. Virtual currency is not legal tender, is not backed by the government, and accounts and value balances are not subject to consumer protections. Cryptocurrencies and tokens are extremely volatile. There is no guarantee of stable value, or of any value at all. 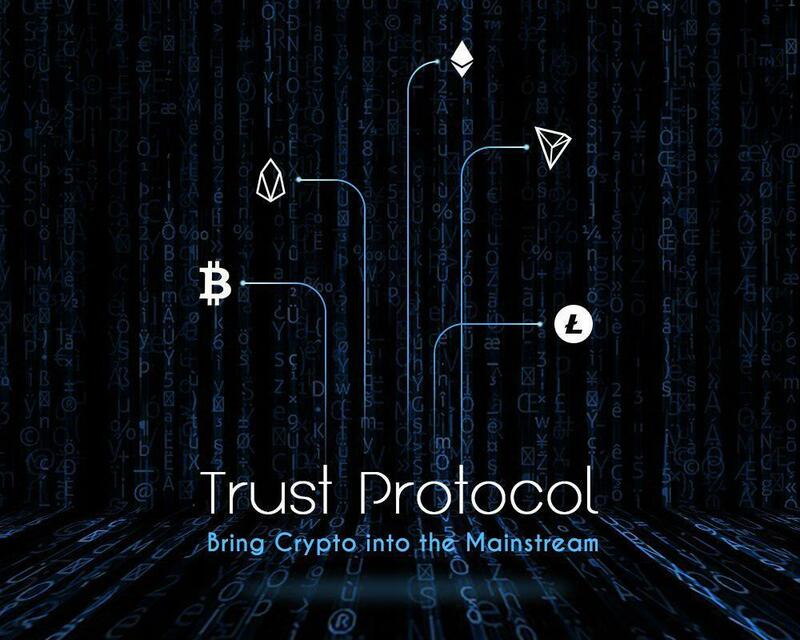 The post USDX Wallet Announces Integration with First Crypto Exchange, ExMarkets appeared first on Bitcoin PR Buzz. Bitcoin Press Release: Scalable dApp creation platform Squeezer.io will help software developers integrate decentralized apps into already established business infrastructures. Monday 22nd April, 2019, Belize City, BELIZE – Scalable dApp creation platform Squeezer.io will help software developers integrate decentralized apps into already established business infrastructures. Squeezer.IO uses a platform, Framework, and Chain-kit (unique software tools) to enable the design and development of open source apps, import projects directly from GitHub, and develop fast solutions for Blockchain Payments and Smart Contracts. The blockchain software industry is expanding quickly, given that blockchain related jobs are among the fastest growing in today’s labor market, it is safe to assume that the demand for blockchain experts is also growing at a significant rate. The average income of a Blockchain developer (in the US) has also increased by roughly 50% compared to that of the average software developer. Onboarding software developers into the blockchain ecosystem are not that simple, because, besides the coding skills, server-side requirements are needed too, in order to setup blockchain node instances. In addition, strongly typed languages like Solidity, C++, are additional points on the requirement list. All of these will narrow down the access to the developer’s workforce spectrum. The Squeezer Framework is a tool to build & deploy an open-source CLI for building and deploying decentralized applications using serverless functions. Instead of doing everything manually, the developer can create and configure resources with just a few commands, letting Squeezer do all the heavy lifting. The Squeezer.io platform allows users to Import a project from GitHub, share it with the team for collaboration, and start the development in seconds. 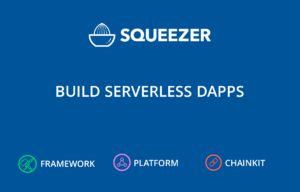 Deployment of a dApp into the cloud is just a click away with the help of the Squeezer Platform. Squeezer Chain-kit -Warp Fast Solution for Blockchain Payments and Smart Contracts. 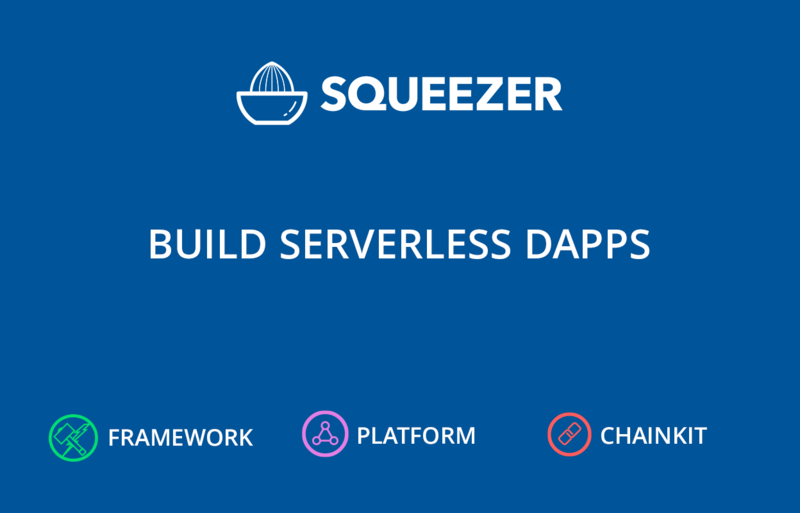 Users can start accessing blockchain resources easily using the Squeezer Chain-kit, to build serverless dAps. 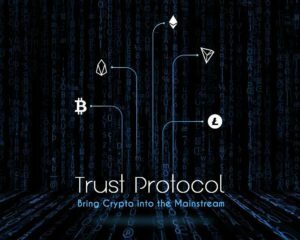 It’s an agnostic solution to interact with any blockchain, so you don’t have to deal with all the hassles of manually downloading the entire blockchain locally and setting up a dev environment. Create & deploy a two-way Ethereum payment system in one minute or less. A comprehensive tutorial, to see how Squeezer can improve the velocity & development lifecycle speed when it’s used to create blockchain dApps. Squeezer is the ultimate tool for creating scalable dApps and integrate them into existing business infrastructures. A payment system through blockchain, a voting platform, frictionless login, Squeezer has it all. We provide all the tools you need to create serverless dApps, attach smart contracts and deploy them with one click. Squeezer.io is the source of this content. Virtual currency is not legal tender, is not backed by the government, and accounts and value balances are not subject to consumer protections. This press release is for informational purposes only. The information does not constitute investment advice or an offer to invest. The post Scalable Dapp Development Platform Squeezer.io Looks to Revolutionize Business Infrastructures Through Blockchain Implementation appeared first on Bitcoin PR Buzz.